Chalet Queenstown is a small boutique hotel located 5 minutes walk from the centre of Queenstown. With its superb views of the Remarkables, Lake Wakatipu and Queenstown Hill, Chalet Queenstown is the perfect location for your New Zealand holiday, whether you are skiing, snowboarding, jet boating, walking, dining, exploring or just relaxing. Chalet Queenstown is known world-wide for its perfectly appointed rooms, gourmet breakfasts and fabulous New Zealand hospitality. Free onsite parking and internet access are included. Chalet Queenstown is also available for rentals on an exclusive use basis. 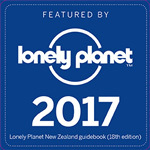 Chalet Queenstown can be found in the New Zealand Lonely Planet Guide, Edition 17 issued in 2014. The cosmopolitan four season alpine resort welcomes you to taste our world class food and wines. Walk, fly ski in the stunning scenery of Queenstown.